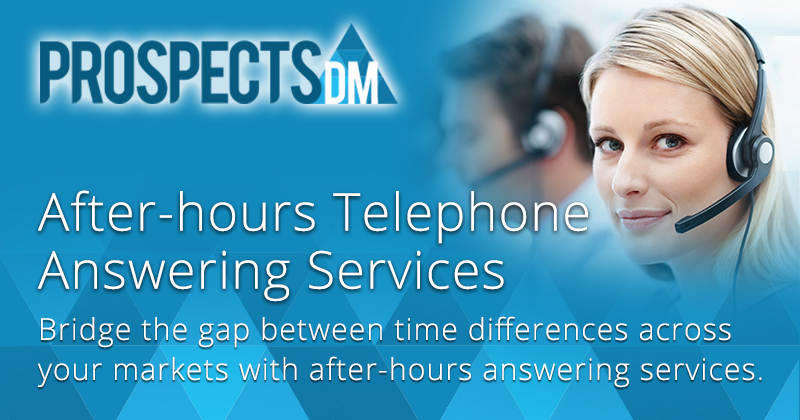 Prospects DM have been providing customer care with telephone answering services for many years. Our success has been built on a foundation of providing reliable telephone answering services in city centers across United States, Canada and the Philippines. We become an extension of your company by using custom scripts and screens according to your call answering specifications, assuming your company’s image anytime 24 hours a day, 7 days a week. Our industry award-winning customer service and national presence enables us to provide a local telephone answering service for local and national companies, giving our clients the competitive advantage of a local personalized service with national support.